The celebrations which filled the Chancellor’s Hall at the Wulfruna Building, featured a string of speeches, motivational messages of peace, gender equality, rejecting discrimination and promoting harmony among communities. Guru Nanak Dev Ji’s philosophy has a timeless quality and universal appeal. 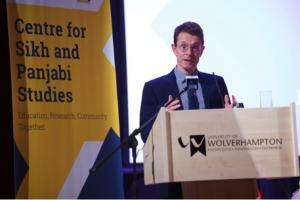 Mayor of West Midlands Andy Street thanked the Sikhs across the Midlands region for their outstanding contribution to the community. 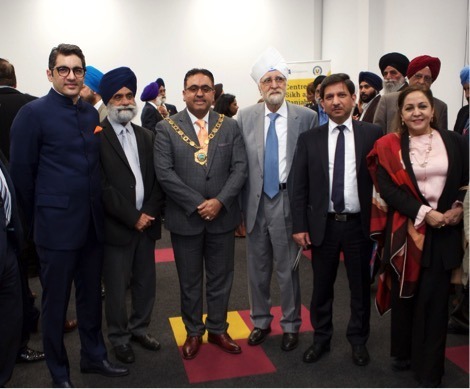 He also appreciated the noble initiative of celebrating the Prakash Parv in Midlands. The event concluded with the ensemble of religious songs by Mr. Jas Wohra, Managing Director, East End Foods Plc, creating a spiritual environment at the Chancellor’s Hall. Communities across the globe will mark the anniversary with a series of events throughout this year, with the UK expected to host the biggest celebrations outside India.